Following the breakdown of a de facto relationship there are often parenting and property issues to work out. Parenting issues will always come under the umbrella of the Family Court, please refer to the relevant sections on parenting for more information on this area. 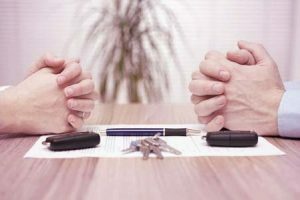 For De Facto Couples who separated on or after 1 March 2009 then property settlements are dealt with pursuant to the Family Law Act 1975. For De Facto couples who separated prior to the 1st of March 2009 you should speak to us about your options for property settlement. There is a time limit in which to make applications for property adjustment. Any application for property adjustment must be brought within two years of the relationship terminating for De Facto couples and one year from the date your Divorce is finalised for couples who were married. If a claim is not brought within the time limit then it is necessary for the Court’s leave (or permission) to be sought before proceedings can be instituted. Leave is not granted automatically and may be refused.